Browse: Home / World Youth Day 2019: What will I find? World Youth Day 2019: What will I find? 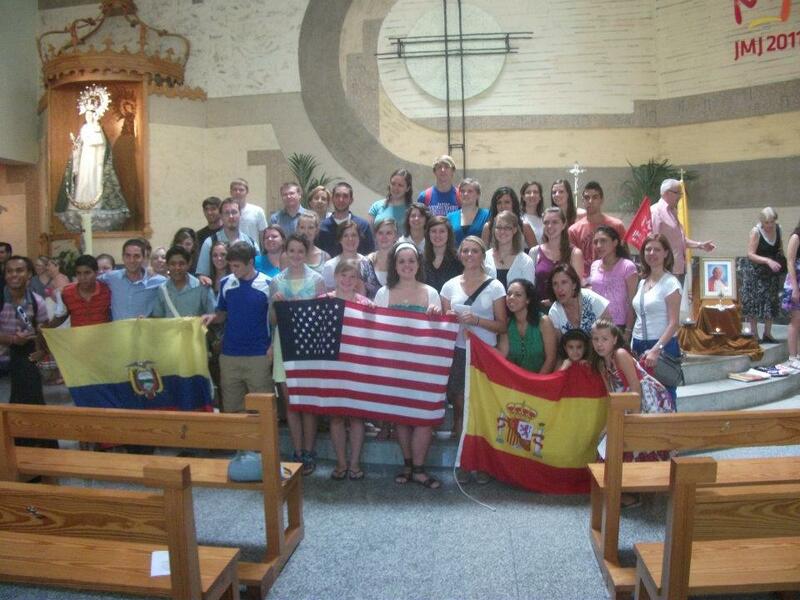 “Days in the diocese” in Murcia, Spain. This week I’ve been thinking a lot about Spain. In particular, I’ve been reminiscing about attending World Youth Day (WYD) in Madrid in 2011, my first time travelling abroad. My mom and I went after months of saving, fundraising and planning. We were ecstatic to experience a different country, meet new people, see the pope (Pope Emeritus Benedict XVI at the time) and bask in the glory and energy of being surrounded by 1.5 million young Catholics. I see now that attending World Youth Day was a decisive moment for my life. It has influenced my faith, what I’ve studied, the languages I speak, who my friends are, where I’ve lived and where I work. I even met my college roommate at WYD, who I also currently live with. And what has me thinking about WYD now is simple: I am preparing to go again. This time, I’ll be representing The Leaven and working as an official WYD volunteer in Panama City, Panama, Jan. 22-27, 2019. Sadly, I won’t be able to bring my mom with me or my best friends, but I will be bringing joyful expectation to encounter Christ again. I am full of anticipation to really become involved in the fibers of WYD. As a volunteer, I will be able to give in my limited capacities in a tangible way that point to the deeper work in which Christ invites us to participate — to witness to the fact that he is present and incarnates the answer to the deepest needs of our hearts. I also feel immensely privileged to be at WYD at this point in history, marked by pain, scandal of abuse, skepticism of authority and questions surrounding the credibility of the church. I want to go deeper and learn what is happening in this reality. Is the church (with all its many failings) truly the prolongation of Christ? What can make the church credible before our eyes and the eyes of others? There’s no easy, pre-packaged answer to these questions, but I will certainly engage them well into the new year (and hopefully for the rest of my life). WYD will help me do that. I ask for your prayers in my preparation for WYD 2019 and for all who will come. And, remember, keep your eyes peeled for my adventures at WYD in The Leaven!